Dr. Hidlay completed his undergraduate degree and dental degree from University of Michigan. He has been practising in Lansing, Michigan for over 30 years. Our team provides preventative dentistry to help safeguard you against common oral diseases and conditions. They also teach patients how to develop good behaviors that will lead to better dental health. 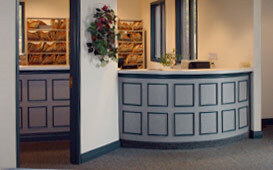 Friendly, professional and approachable, our office staff is dedicated to serving old and new patients. We are more than happy to answer any questions and concerns that you have. We are here to help arrange your appointments and make you feel comfortable and welcomed at our practice.